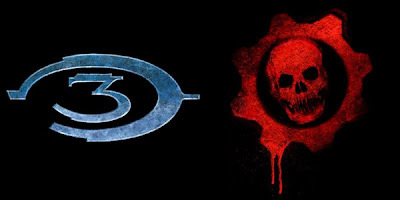 Xbox Canada has announced a couple of new premium Game Add-Ons coming to Xbox LIVE in the form of map packs for Halo 3 and Gears of War 2. Launching on March 31st will be the Snowblind Map Pack for Gears of War 2. This will include 4 new, winter themed maps called Grindyard, Underhill, Courtyard and Fuel Depot - a rehash of the popular map from the original Gears of War. The cost for the Snowblind Map Pack is 800 Microsoft Points. On April 9th, the Mythic Map Pack for Halo 3 will be available for download from Xbox LIVE for 800 Microsoft Points as well. The Mythic Map Pack consists of three new maps that include Assembly, Sandbox and Orbital. These maps will no doubt be a welcome addition to any Halo 3 addicts out there. As you may recall, earlier in March the NextGen Player team had the opportunity to play the new Mythic maps and also shot some videos of them. Check them out in HD. NicE! A winter theme pack just in time for spring! Would you prefer a spring map pack in time for winter? How about a fall map pack in time for summer? Personally, I want to see a 2-4 map pack just in time for Victoria Day. Meh, the outdoors are overrated. Who needs outside when you have Halo 3!